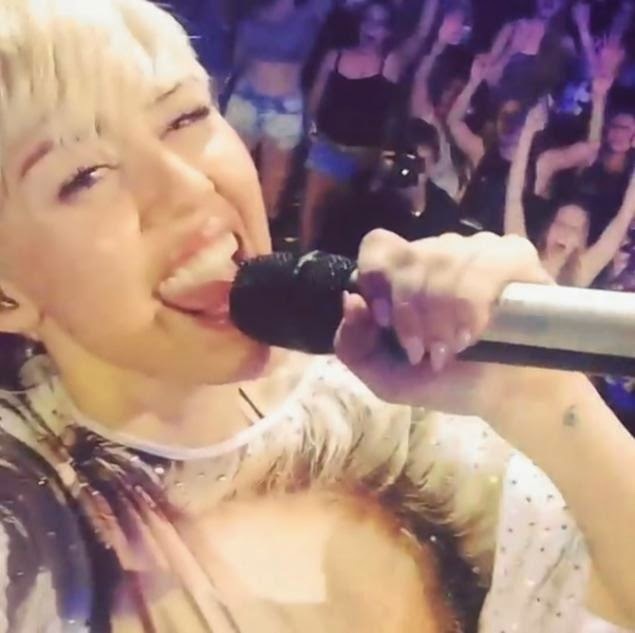 College offer course on Miley Cyrus exploring race, class, gender and the media. How incredibly stupid of them. So many talented people that they could do a course on, and they choose to dedicate time to a desperate, untalented spawn of a one-hit wonder. What's going to be the final exam? Do your best goofy miley face by sticking out your tongue and trying to smush your eyes together to look like a deranged chipmunk in heat? Morons. So, now we are paying colleges to dumb our kids down. I wish my child would say she taking a Hanna Montana, Miley Cyrus hoebag course. Can you say, hell naw. Schools have been dumbed down since 1933. As JD Rockefeller said "I don't want a nation of thinkers I want a nation of workers!"